Met Wyclef last year in the Airport Lounge of the Port au Prince Airport. Really a personable, well spoken guy. We talked a bit about some of his Yele Haiti projects, which you can see in action in a number of parts of the city. 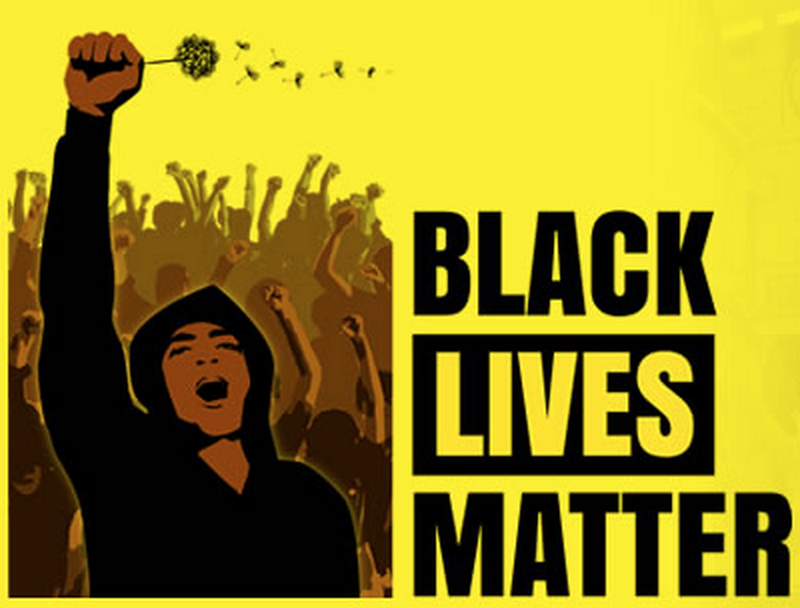 Celebs have been tweeting their thoughts on the controversial Trayvon Martin case, in which a 17-year-old boy was shot to death this past February by neighborhood-watch volunteer George Zimmerman. The Fugees musician teamed up with Prescribed and J. Williams to create a track titled “Justice (If You’re 17)” in dedication to Martin, which was dropped today as a free download. Along with the track, J. Williams and Prescribed made a short called “I Am”which deals with not only the Trayvon Martin case, but profiling globally. A music video for “Justice” is expected to be released April 20. Met Wyclef a few months ago, and was quite impressed with his planning knowledge around his charity. This was a stand around over some coffee informal chat – so to be honest it certainly wasn’t some sort of in-depth talk like an investigative reporter might do. He’s a bit on the shy side, and I was rather shocked when he walked up to me and introduced himself. I had seen him in the airport lounge a half dozen times, but he was always surrounded by security. I don’t approach celebrities when I see them, because I feel that is a violation of their privacy. I see all the stuff Yele is doing in Haiti with local people while travelling from place to place. One of their ongoing campaigns is to keep the drains along the streets clear so that runoff doesn’t pool and form potential locations for cholera to fester. They also hire crews of locals to sweep the streets, collecting some of the millions of bottles and water containers which seem to cover Port au Prince. Their bright yellow shirts are likely to appear anywhere, but I don’t know enough about all they are working on to say whether there is any overall strategy to it – or what other things they may be working on. I suspect that when they are down to picking on Wyclef’s charity, there is a bit of cover up on how badly some of the International and US Governmental AID organizations have effed up. Almost everywhere you turn, little of the money promised has come through. Even money supposedly committed winds up being diverted, sometimes for nefarious reasons. Worse, there continues to be a massive level of confusion as to how to prioritize projects – despite the needs being pretty straightforward. Lastly, there is apparent collusion between some of those very same “Aid” and “US Governmental” organizations and the criminal drug cartels. If the Cartels are big enough to buy whole governments – they certainly can buy their own AID agency to promote and assist with moving their merchandise. There was supposed to be $12 billion in International and US AID money… How that never got spent could well make the boys at Enron blush with envy. They are picking on Wyclef’s $16 million… But what about the $3.2 billion donated to the Clinton/Bush fund? As far as I know, none of the Clinton/Bush money has been “disappeared”, but there certainly are other fruitful areas to audit. The Washington Post is reporting that musician and activist Wyclef Jean is responding to a recent report by the New York Post questioning the spending of Jean’s charitable organization, the Yele Haiti Foundation, again. The New York Post reported that the foundation collected $16 million in 2010, but less than a third of that went to emergency efforts. The Post also says that $1 million was paid to a Florida firm that doesn’t appear to exist. Jean says that he is proud of what the foundation has accomplished after the earthquake almost two years ago. He says his Yele Haiti Foundation rebuilt an orphanage and set up a system of outdoor toilet and shower facilities in one of the largest shanties in the Haitian capital. We find it interesting that media outlets are so focused on following Jean’s paper trail while ignoring others. What about countries that pledged to send aid to Haiti and still have yet to do so — including the United States, because of congressional shenanigans? The lesson here should be that people should actually donate money to organizations that are in the business of rebuilding after disaster relief, not just famous faces that are known for being musical geniuses. The two don’t translate, much like the numbers. Wyclef Jean … Not Shot. This one gets strange… Going to be an interesting week in Port au Prince. Haitians headed to the polls to pick a new president Sunday among conflicting reports that former candidate wannabe Wyclef Jean was shot. Jean said a bullet grazed his hand as he stepped out of a car to make a phone call, but local police claim he was only injured by glass. Jean said he was in a car with a driver in the Delmas section of the capital at the time. He doesn’t know who fired the shots, or whether they were directed at him, the 37-year-old Grammy winner said. Cops down-played the violence, and say the New Jersey resident – a Haitian-American who hoped to compete in the Caribbean nation’s ongoing presidential race – suffered only a minor cut to his hand from glass in an apparent accident. “We met with the doctor who saw him and he confirmed Wyclef was cut by glass,” Vanel Lacroix, police chief in Petionville where Jean is staying, told Reuters. Singer, and abortive Presidential candidate Wyclef Jean was shot yesterday while attending a campaign rally for Mickey Martelly, one of the two candidates in the runoff election. Wyclef appears to be OK, and was released from the hospital last night with a wound to his right hand. Wyclef Jean, the American singer and music producer, has been shot in the Haitian capital while campaigning for a presidential candidate Michel Martelly. The 41-year-old former member of music group The Fugees was in a stable condition in hospital in Port-au-Prince on Sunday, being treated for a bullet wound to his right hand. Following last year’s tragic earthquake, the hip-hop sensation declared he would stand for president, only to be told he was inelegible. Instead he returned to Haiti to campaign for Michel Martelly. The shooting comes as polls open for a presidential run-off on the Caribbean island. On Sunday Haiti’s 4.7 million voters will choose between a political newcomer, entertainer and singer Martelly, 50, and former first lady Mirlande Manigat, 70, a law professor and opposition matriarch. It follows a chaotic first round vote on November 28 that dissolved into fraud allegations and unrest. More problems surface for Wyclef. Last week there was the revelation that he owed the IRS $2.1 million in back taxes. He better be careful, he could be sharing a cell with The Blade! No question that Wyclef knows how to play the media… The question is does he have the skills necessary to manage a country through what will be the most ambitious recovery effort in history? More importantly, is Wyclef really a departure from the sort of corrupt politician and government which has crippled the country and every single effort to move forward? It’s really beginning to look like he doesn’t… and isn’t. How Mr. Jean, a celebrity with no experience in politics, has guided Yéle Haiti offers one barometer of his ability to lead. The earthquake raised the musician’s profile and brought his small nonprofit group more than $10.5 million through July 31, of which just under a third has been spent, according to the charity. In the past, Mr. Jean blurred boundaries between his personal, business and philanthropic enterprises. His charity paid his production company for benefit concerts featuring Mr. Jean, and paid his Haitian television station for promotions that also featured him. After the earthquake, the television station, its building badly damaged, broadcast rent-free from Yéle’s new estate. On Monday, Euro RSCG Worldwide PR announced that it had resigned from all public relations work for Yéle and Mr. Jean’s campaign. The firm offered no explanation. To his many ardent supporters here, Mr. Jean’s championing of the Haitian cause is more important than any missteps at Yéle — and Mr. Jean has acknowledged making mistakes. Jocelyn Augustin, 38, a pregnant mother of three who lives in a miserable camp beside a municipal dump, said she idolized Mr. Jean even before his charity gave the camp’s residents tents branded with the Yéle logo. “After God is Wyclef,” she said. To Mr. Jean’s skeptics, indications that he has poorly handled money at Yéle and in his personal life — with $2.1 million in tax liens against his house in Saddle River, N.J., which Mr. Jean says he is addressing, and an unfinished Miami mansion lost to foreclosure — raise concerns about a presidential candidate for a shattered country pledged billions in reconstruction aid. 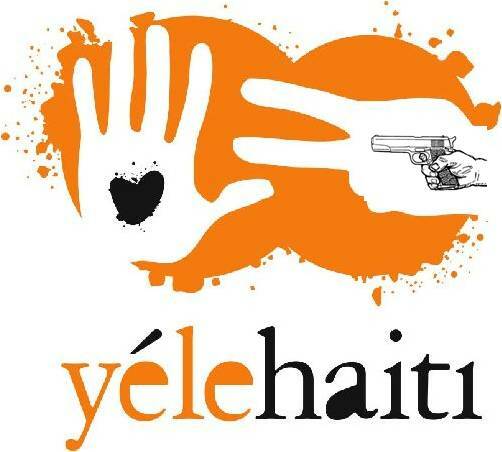 After the earthquake, it was widely reported that Yéle’s 2006 tax filing revealed $350,000 in questionable payments to two companies that Mr. Jean and his cousin control, including $250,000 to a Haitian television station they had just acquired. The rumors are true – Wyclef Jean is going to run for Haiti President. He will be part of a powerful new coalition focused on cleaning up the corruption which is epidemic in Haitian government and business affairs, and remains as a major roadblock to recovery and the building of any future economy. The rumors are true: Singer Wyclef Jean plans to run for president of earthquake-ravaged Haiti and will announce his candidacy in the coming days. Former Haitian parliamentary leader Pierre Eric Jean-Jacques said the Haiti-born hip hop artist will run as part of his coalition in the Nov. 28 election. The former Fugees frontman’s brother, Samuel Jean, confirmed that the singer will announce his intentions in a televised interview from Haiti tomorrow. Dozens of candidates are expected to compete for the presidency, among them Jean’s uncle Raymond Joseph, who is Haiti’s ambassador in Washington. Jean will be a candidate for a new coalition that calls itself Ansanm Nou Fo, which translates as “together we are strong” in Creole. He is popular in Haiti for his music and for his work through his charity Yele Haiti, which raised more than $9 million after the Jan. 12 earthquake but has been widely criticized for alleged financial irregularities. 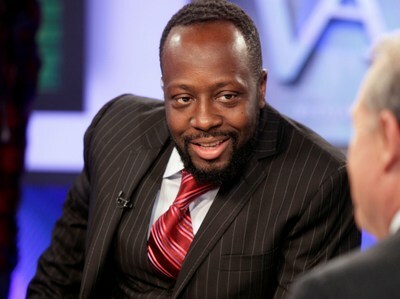 Wyclef For President of Haiti? Gary Pierre-Pierre, editor of Haitian Times gives the cogent assessment of Haiti I’ve seen in the press. As I’ve said before about 90% of what you see in the media about Haiti is either disinformation, bad information, or just plain wrong. What Haiti needs is a leader at the level of a Baptiste, or in American terms a Lincoln. I don’t know of anyone who has ever spotted one of those before they accomplished what they accomplished – often things that are difficult to impossible. Rebuilding Haiti is more than just building new houses for the dispossessed – it has to involve a complete makeover of the nation, it’s identity, and it’s norms. That is a huge job, which will take a decade or more. In its hit song “Haiti”, the Konpa group System Band rhapsodizes about the hard luck country, bemoaning its troubled history, particularly in the last 25 years. Now we may have to add singer to System Band’s list of failed leaders from various professions, if Wyclef Jean, the Haitian former front man of the hip-hop group the Fugees succeeds in his bid to become president of Haiti. Last week, Jean held a meeting in New York with many Haitian community leaders to strategize and day’s later media reports say that he will seek the presidency in November. If Wyclef thought that growing up poor in Newark may have been difficult, he will find out that hardscrabble past is more like living in the hills of South Orange when trying to tackle Port-au-Prince’s intractable problems. It will be a major coup if he manages to get on the ballot, get elected and govern successfully. He would be the first to achieve that feat in the country’s 206 year history as a republic. The rumors of his intended run surely has created a buzz in the Haitian American community, with several people saying that the presidential bug that ails many Haitians has not eluded the hip-hop star who rose to international stardom in the mid-1990s.